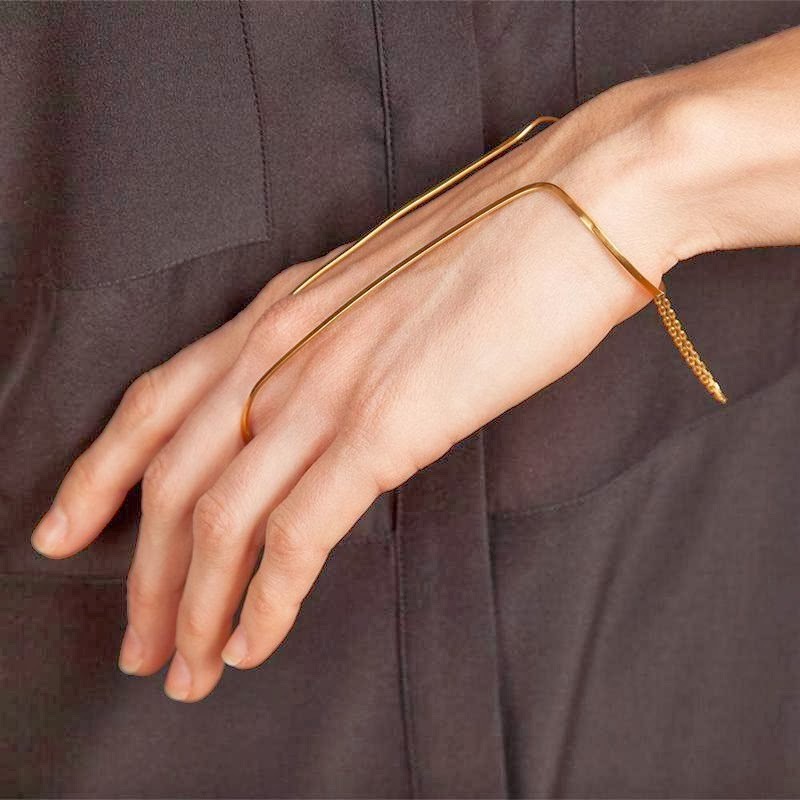 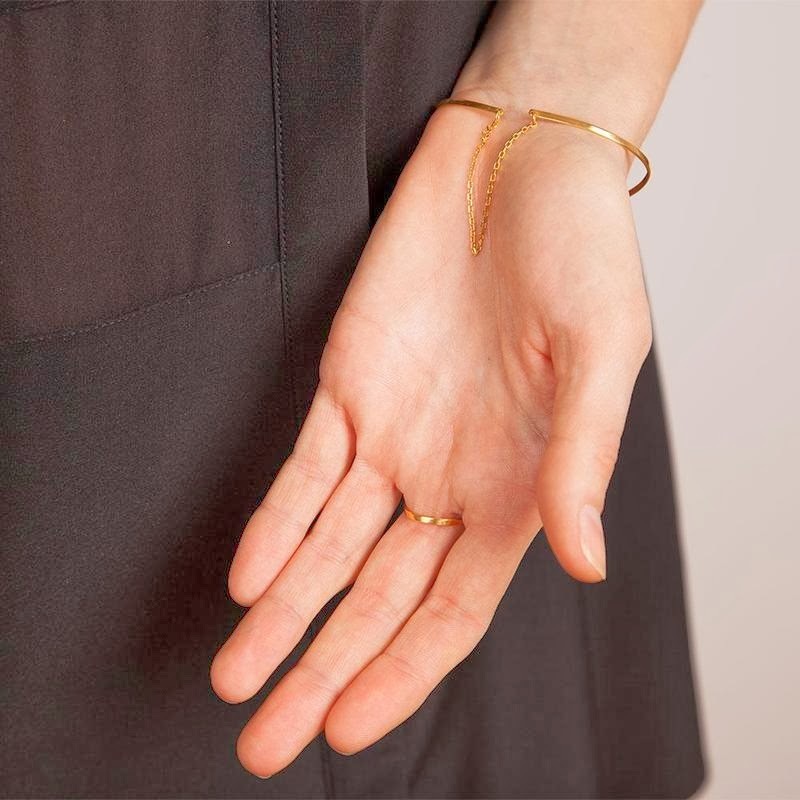 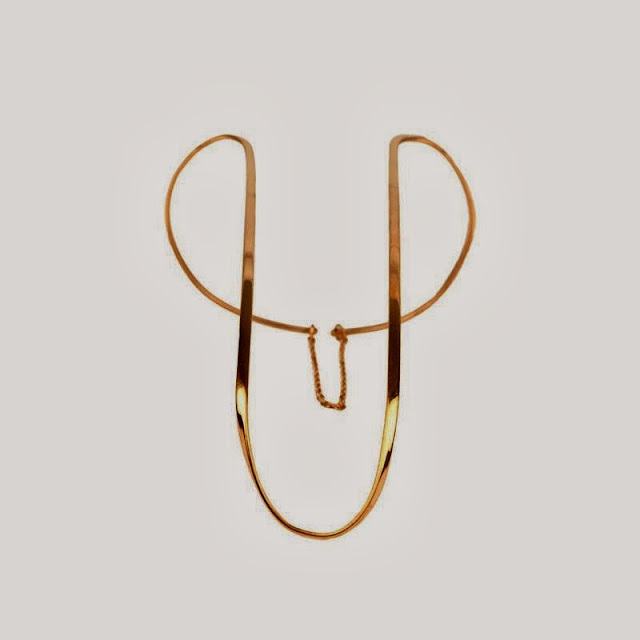 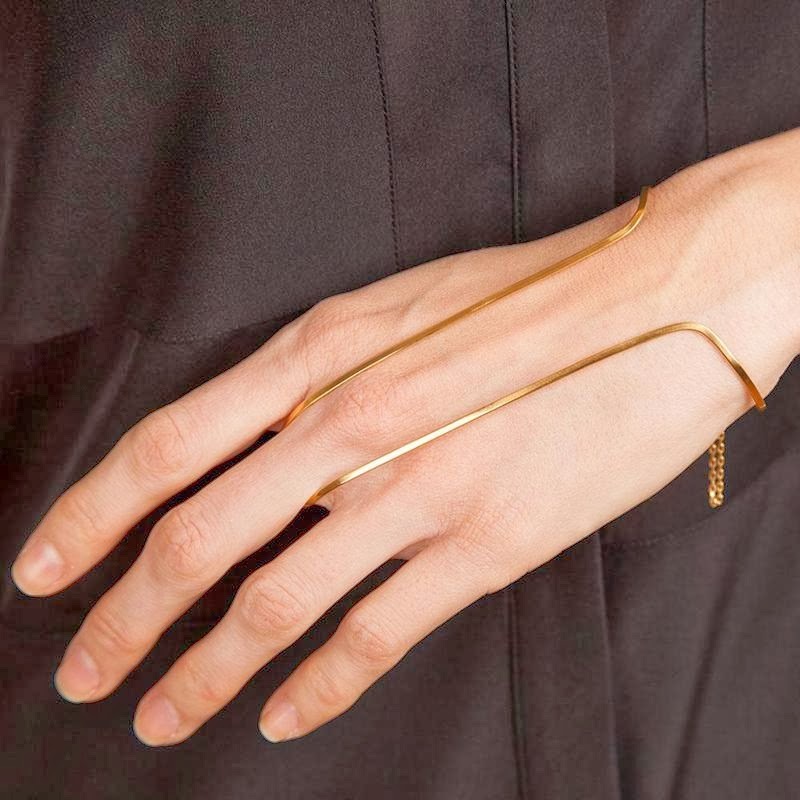 A modern and edgier alternative to the bracelet-ring chain combination; this Vibe Harsløf's gold plated handbrace from her Vespertine collection highlights the current non-existent correlation between jewellery, art and sculpture, morphing all three into a truly innovative, defined and playful piece. Whereas the widely popular bracelet-ring chain; or otherwise known as hand panja, is described as traditional and delicate whilst verging on decoratively elaborate, this rare and rebellious version intentionally rewrites the rule book on existing body adornment and challenges a universally accepted preconceptions on jewellery being just pretty, normal and sparkly. With Vibe Harsløf, it is better.